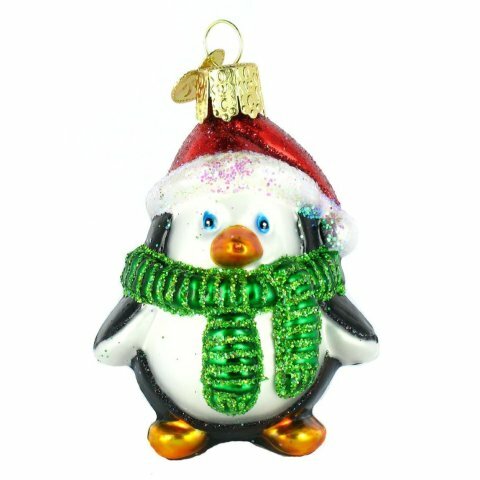 Christmas Ornament to your tree! This chubby little guy is just waddling good fun. 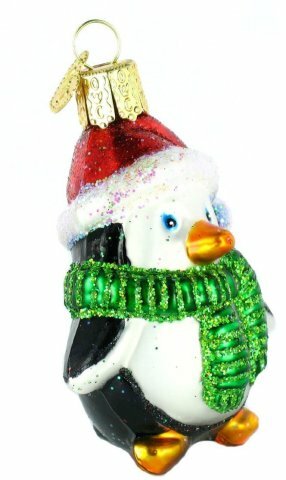 He is made of blown glass and hand painted using old-world techniques that originated back in the 1800s. The glass is mouth blown into special molds and then a solution of hot liquid silver is poured inside. After that the pieces are carefully hand painted and glittered to achieve their ultimate Christmas beauty. You'll find this ornament will become a cherished part of your family's Christmas for decades to come. What the heck, name him so that he becomes a part of the family. Ha! Christmas Ornament for your family or another family you love, click here.